…but that depends on who you are. 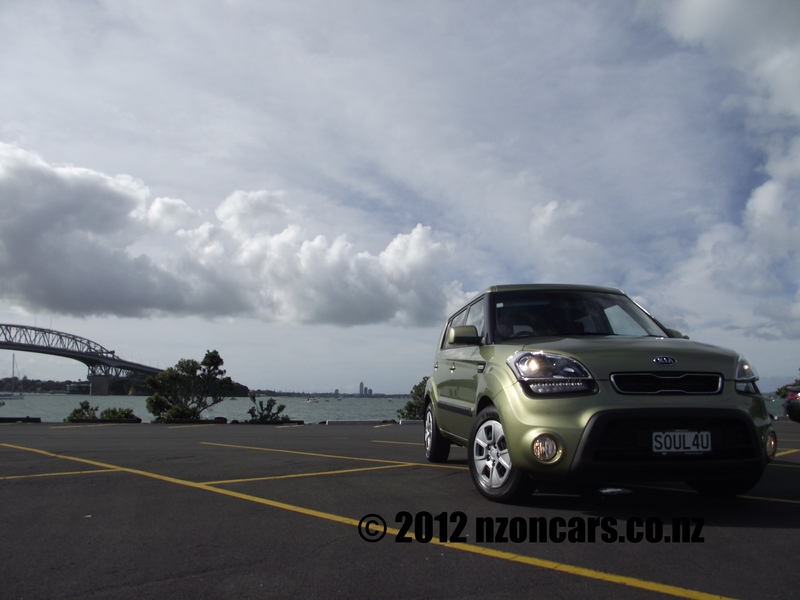 The facelift 2012 Kia Soul certainly isn’t my cup of green tea latte, yep, that’s the name of the test cars colour, and will be the same for others but there is no doubt people that like funky, out of the ordinary, stand out cars will buy these in droves. 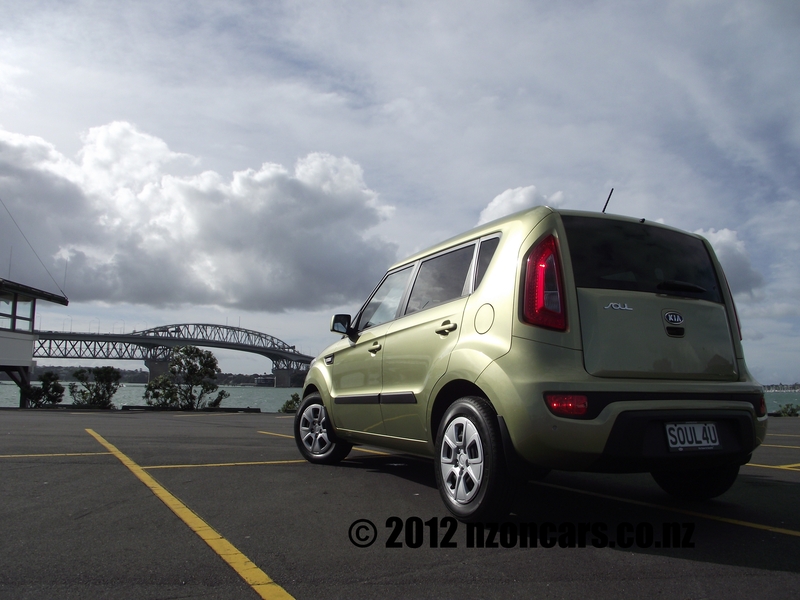 In the same class as the horrid Nissan Cube, Toyota bB, Sicon xB (Toyota) and Daihatsu Materia, it sure would be a no brainer to choose the Kia Soul. Its ‘chic-ness’ should appeal to the townie types, hairdressers, café owners and Ponsonby regulars. While some of my work colleagues seemed to think I looked gay in it (not the old and true meaning of the word), there is no denying it turns heads. I do like the bold 4×4 looks, the rear end I found especially nice. First impressions with the Souls height had me taking corners very cautiously thinking it could topple on its lid onto an unsuspecting pedestrian but thankfully my fear was unfounded. Although there was a small amount of body roll as to be expected given the laws of physics but you’d have to be pushing seriously hard to make the Soul lean on a twisty B road. But that’s fine, very unlikely any hairdresser would be driving in this manner. The height will appeal to another demographic too. 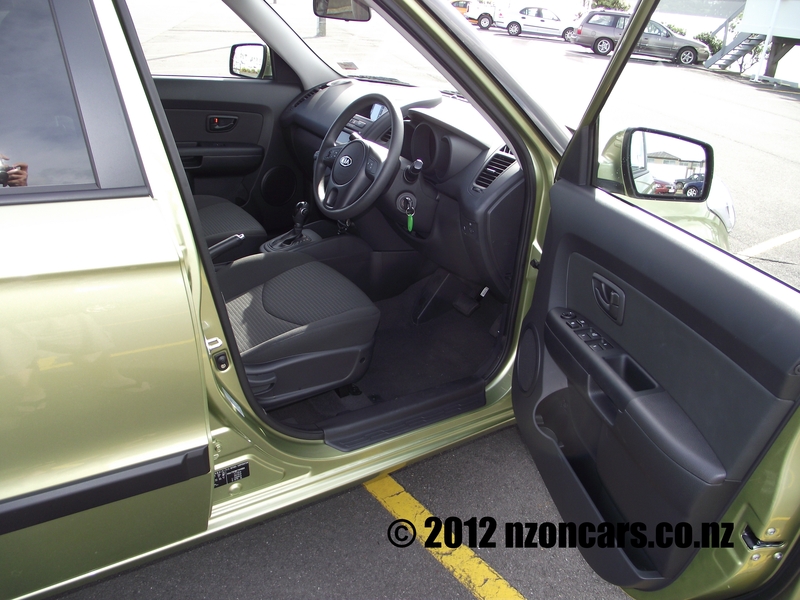 Entry and egress to and from the comfortable and spacious interior will be perfect for the slightly older motoring public with aches and pains that tend to come with age. Even though the new Kia Soul is higher than your average hatch you won’t need mountain climbing gear to get in the cabin, and the taller folk will appreciate the extra headroom. Getting out is just as easy and even my younger and fitter (cough) body appreciated this after a hard day in the salt mines. 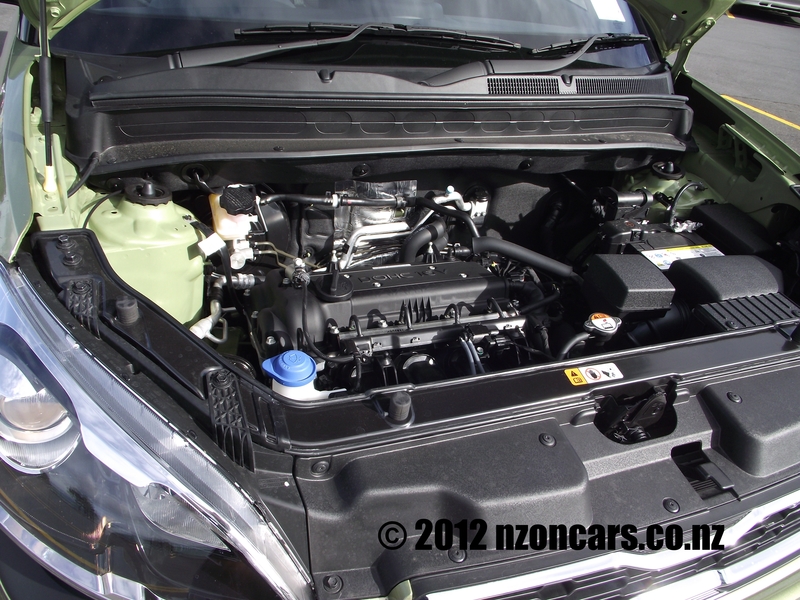 Performance wise the Kia Soul is no rally car but the 1.6 litre DOCH CVVT petrol engine has sufficient grunt for trundling around town at 95kW and 157Nm and with kerb weight at a reasonable 1290kg fuel economy is a respectable 7.3 litres per 100 kilometres. Transmission is a very smooth 6 speed automatic sport shift. And if you need to do a quick U-turn to get back to the supermarket to pick up the bottle of milk you forgot, its very tight turning circle will make this a breeze. Inside, the Soul could really do with tad more funkiness in keeping with the exterior styling as, aside from the acres of glass, the innards feel detached from the whole styling package. Some colour added to the fabric really could liven things up. 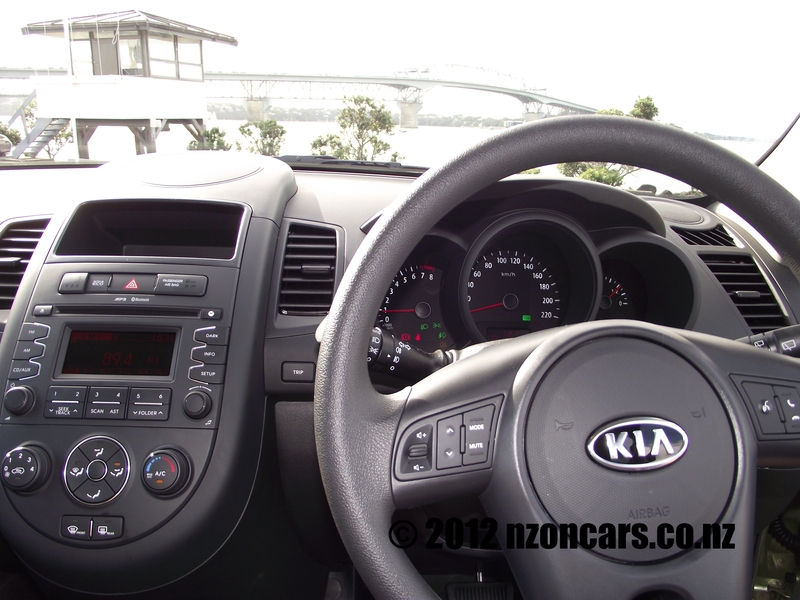 The very well-equipped audio system with Bluetooth music streaming was easy to use and navigate but it is let down somewhat as it was in the recently tested Picanto where the nice orange display was as good as invisible on a sunny day. 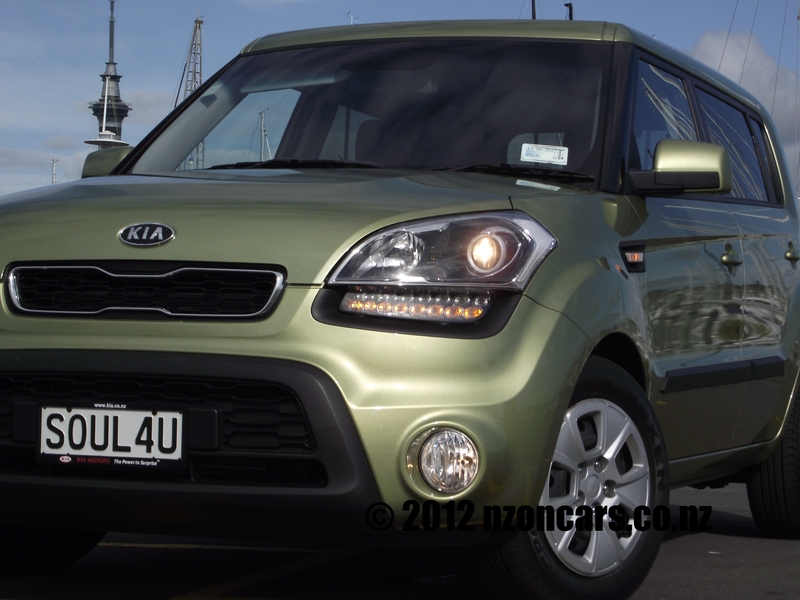 Overall the 2012 Kia Soul is a great package and will certainly find its way into many buyers’ hearts and at an affordable $30,490+ORC will be a great buy. I’d be inclined to add a few dollars to the final price if I was to become a hairdresser and buy one as the optional eighteen inch black alloy wheels would finish the whole package nicely. And if you really wanted to make a statement maybe go for the Tomato Red colour option! But I think I’d be holding out for the very sporty Track’ster. A three door coupe, based on the Soul, with a turbocharged two litre engine. A hint of where Kia is headed.